Condition: Very Good+. Includes a pristine in appearance DVD to the reverse of the upper wrapper. This is untested and unwarranted. Text complete, clean and tight. A nice copy. Signed by the author on the title page — unverified and reflected as such in the lack of premium. Illustrated with colour photographs. 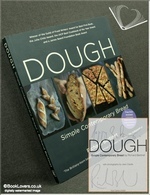 From the cover: “This award-winning book is an invaluable and beautiful guide on how to make simple contemporary bread. Richard Bertinet brings back the fun to breadmaking with his practical and easy approach so you will never want to buy a supermarket loaf again. 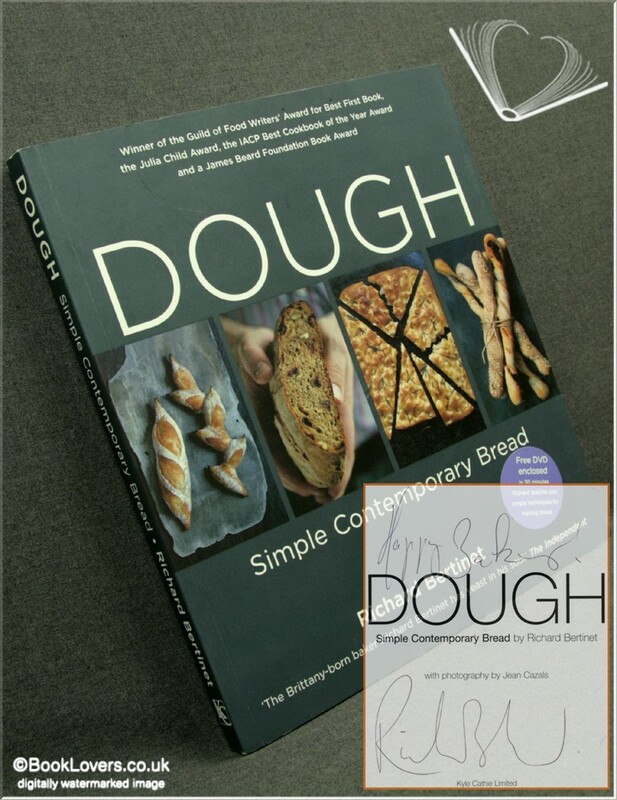 He uses a method of ‘working’ the dough rather than ‘kneading’ it, allowing air and therefore lightness to prevail so you don’t create that well-known home-made brick bread. The five chapters start with a basic bread — White, Olive Oil, Brown, Rye and Sweet — and from this ‘parent’ dough you can bake a vast variety of breads really easily. There are breads for every occasion — bake a pile of scones for tea, make pizza dough with the kids or friends, impress your guests with puff balls for supper, knock up a tantalising focaccia for an informal lunch or treat yourself to a honey and lavender loaf for breakfast — the choices are endless as once you’ve mastered a ‘parent’ dough you can experiment with your own favourite flavours. Size: 10" x 8¾". 160 pages.